PESA proudly exhibited at the 2017 Louisiana Gulf Coast Oil Exposition (LAGCOE), a biannual gas and oilfield trade show held in Lafayette, LA. Attendees of the three-day exposition have access to state-of-the-art equipment, service and technologies, as well as technical presentations from worldwide leaders in the onshore/offshore oil and gas exploration and production industry. 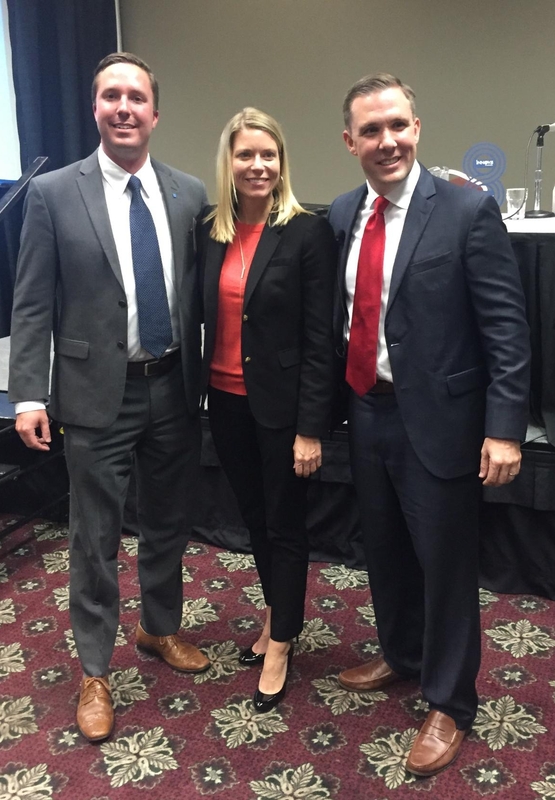 PESA President Leslie Beyer joined a panel discussion hosted by Practical Engineering Solutions, LLC (PES). Following PES’s presentation on how engineers balance innovation with consistency, the panelists shared their views on whether regulations curb or drive innovation. Beyer agreed regulations can both stifle and promote innovation, but stressed that regulations should be flexible, allowing the industry and market forces to decide the optimal path for implementation. “Technical innovations across the oil and natural gas industry have brought new supplies to the market, advanced efficiency, contributed to environmental gains and improved energy security. To build on these successes, it is important for government and industry to continue to strengthen cooperation and promote effective regulatory initiatives that tackle pressing challenges while advancing positive change,” Beyer said. 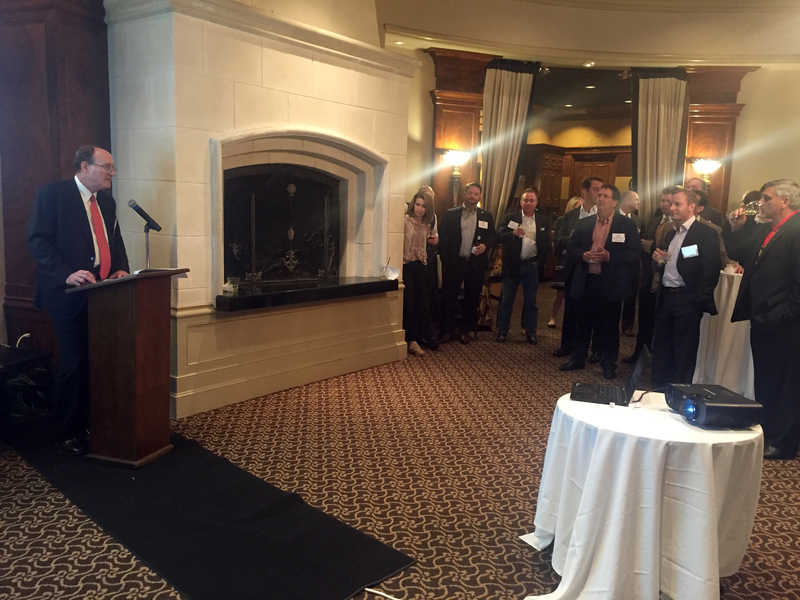 PESA also co-sponsored a reception during LAGCOE week with PESA member Simmons & Company International | Energy Specialists of Piper Jaffray. Beyer opened with a PESA overview and Fred Charlton, Chairman and Co-Head of Energy Investment Banking, Simmons & Company, gave a Macro Energy and Oilfield Services outlook. The PESA Board and Advisory Board have targeted regional outreach, including Louisiana, to address region-specific issues through an influential industry group, engage in best-practice sharing within antitrust compliance, and receive sector-specific industry intelligence. For more information on regional district meetings, please contact info@pesa.org. 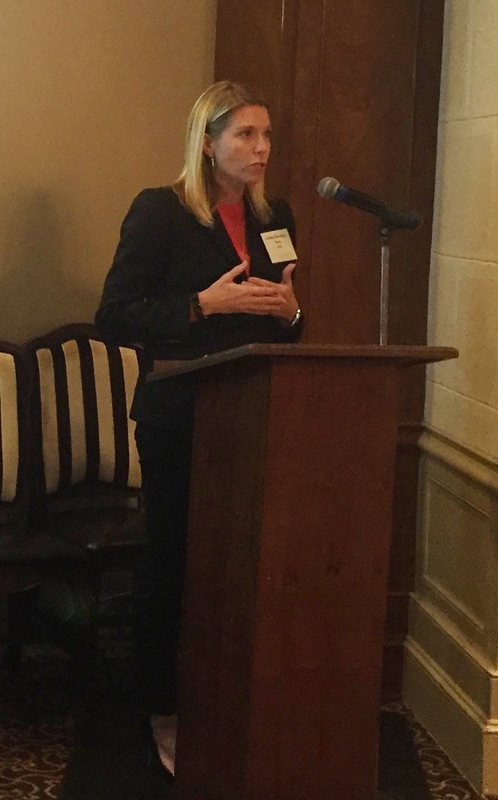 PESA President Leslie Beyer gave a PESA overview during a Simmons & Company International reception at LAGCOE.